Back by popular demand! Ms. Shannon heads up Pupil Services, the department that administers special education, Section 504, RTI, counseling, and health services, as well as state assessments. She, along with other members of the CFS administration, will answer parents’ questions and address topics of interest concerning struggling students. This is an opportunity for constructive communication between parents and our school. 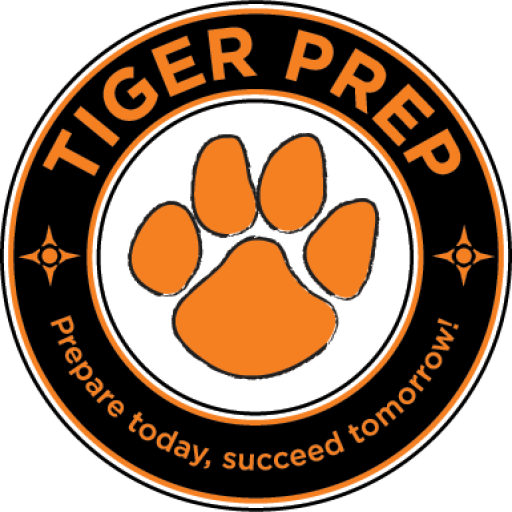 Tiger Prep supports Chagrin Falls students who have or are eligible for an IEP or 504 plan. Through collaboration between parents, educators, administrators and community partners, we advocate for the unique needs of our students, while encouraging an inclusive Chagrin Falls Schools environment. Ken is a Co-Founder of the Skylight Special Needs Planning Team. As a Special Care Planner, Ken has made a commitment to deliver solutions to families, businesses and organizations with a focus on their special needs. As a Financial Planner, Ken’s objective is to help clients reach their financial goals using comprehensive, integrated financial planning. In addition to those with special needs, Ken’s practice includes working with executives, professionals, and business owners. He is a graduate of Syracuse University with a degree in Business Administration. Shannon has been an estate planning and probate attorney for over 15 years. She works with families to create individual estate plans designed specifically for the needs of each family, and to ensure assets are protected and family members are provided for in the manner they desire. Shannon attended John Carroll University and Cleveland Marshall College of Law. She resides in South Russell with her husband and two school aged children. Tiger Prep would like to thank YTR Chagrin for hosting the Tiger Prep Back-to-School KickOff event on August 16. We had a great turnout and it was fun to catch up with as well as meet parents who attended! Congratulations to YTR for a gorgeous new space. If you have not been yet, check it out as it is now open! We also would like to thank all school personnel who have been so active in making Tiger Perks (a Tiger Prep funded initiative) such a huge success! Tiger Perks will continue next school year! Also deserving a big thank-you are all the student volunteers and school personnel who are involved in the Special Prom Experience (funded by Tiger Prep). Students with special needs who would not otherwise attend prom will be riding in style to and from prom in an awesome limo, and will receive the support they need to make the night a fun and special experience! Congratulations to our 2017-18 Scholarship recipient, Nadia McGinnis (we will celebrate Nadia in a separate posting) for all that she has done to promote inclusiveness and community at the High School! Tiger Prep runs the concessions at this massive all-day swim meet, and it is an important fundraiser for us. We need parents to help out throughout the day. Please sign up for a shift or two! There will be other opportunities to volunteer! Thanks to all who joined or donated to Tiger Prep this school year!!! Anxiety in children and adolescents continues to grow year after year in incidence and severity. Parents with anxious children often feel overwhelmed and are unsure of how to help. This presentation will provide parents with information about anxiety in children and adolescents. This will include understanding contributing factors for developing a problem with anxiety, identifying symptoms of anxiety, learning strategies for preventing anxiety from becoming worse, determining when anxiety is a problem, and accessing resources. Parents will be provided with strategies for how to respond to anxious feelings and avoidant behaviors in children and teens, help their children build resiliency, and collaborate with the school. Dr. Tira Stebbins is a licensed clinical psychologist with almost 20 years of experience working with children, adolescents, families, and adults in the field of psychology. She specializes in treating anxiety disorders and conducting psychological testing, though she also treats mood disorders, ADHD, trauma, self-harming behaviors and disruptive behavior disorders. In 1999, Dr. Stebbins earned an MA degree in Clinical Psychology at East Carolina University and in 2012 she earned her doctorate at Cleveland State University. Currently, Dr. Stebbins is Clinical Director of the Child and Adolescent Program at Organization for Psychological Health in Solon. We wanted to share some exciting news with you….Tiger Perks – is up and running! Tiger Perks is a high school student-run business that sells coffee to school staff. Students with special needs are trained and coached on all aspects of the job from processing orders and payments, to making and delivering coffee. Last year, Tiger Prep President Steve Thompson shared with the TP board his aspiration that we spearhead a fun and functional job and life skills program for high school students. Fast forward to today, and we are excited to report that thanks to incredible innovation, enthusiasm, energy and collaboration, Tiger Perks is up and running! This is a true CFS community collaboration: from Tiger Prep who has funded and helped plan this initiative, to students in the innovation lab who applied the Tiger Perks logo to uniforms; to the administrators and staff who planned (and planned and planned) a successful program framework; to the staff and student peers who volunteer to guide the students; and of course, to the students who work there. A special thanks to: Steve Thompson; Lisa Shannon; Jen Bencko; Amanda Rassi; Jessica Lauer and her aides; and Cheri Tunde; and to the HS staff who have embraced this initiative. To date Tiger Perks workers have already filled about 100 orders since its launch!! The hope is to expand and build upon the success of this program! 1. Roseanne Feeney for handling e-communications. 2. Steve Bull and his team at Advanced IT Professionals for their web support. These folks help keep Tiger Prep going, and volunteer their time — cheerfully — gratis to Tiger Prep. We are so appreciative!! Tiger Prep would like to take a moment to reflect on the latter half of a busy and productive 2017. July: Tiger Prep raised funds by running the concessions stand at the crazy, crowded Chagrin Valley Rec Center’s annual swim invitational. Many thanks to Dad’s Club for all its help on this endeavor! August: We kicked off the school year with a casual picnic at Frohring Meadows for Chagrin Families. A little rain did not prevent all who attended from having a great time! October: Tiger Prep hosted an informal parent networking gathering. The discussion was lively and informative. November: We hosted our annual financial/legal planning session for families who have a child with special needs. Our speakers were hugely helpful when it came to topics like ABLE accounts, guardianship, estate planning and more. 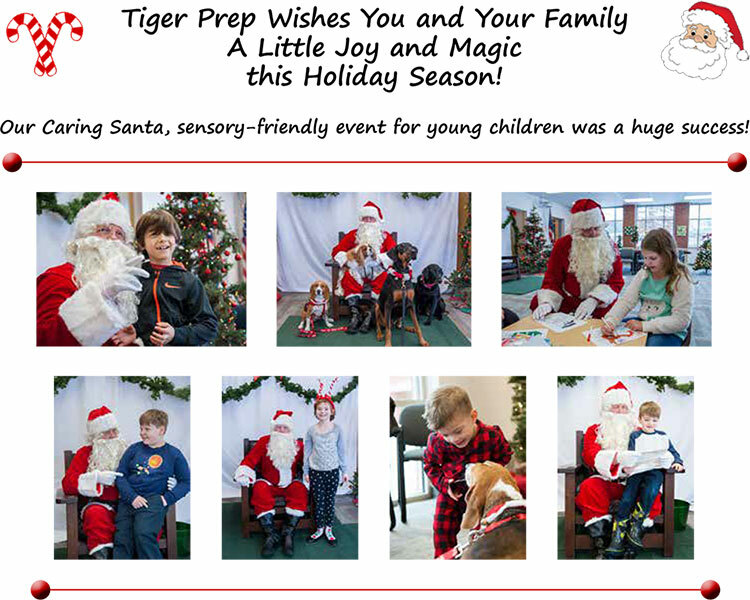 December: Thanks to the help and support of MANY in the Chagrin Community, our Caring Santa, sensory-friendly event for young Gurney children was a huge success! We plan to repeat this event next year! Looking ahead: Thursday, January 18, 6 – 8 p.m.
Back by popular demand! Asst. 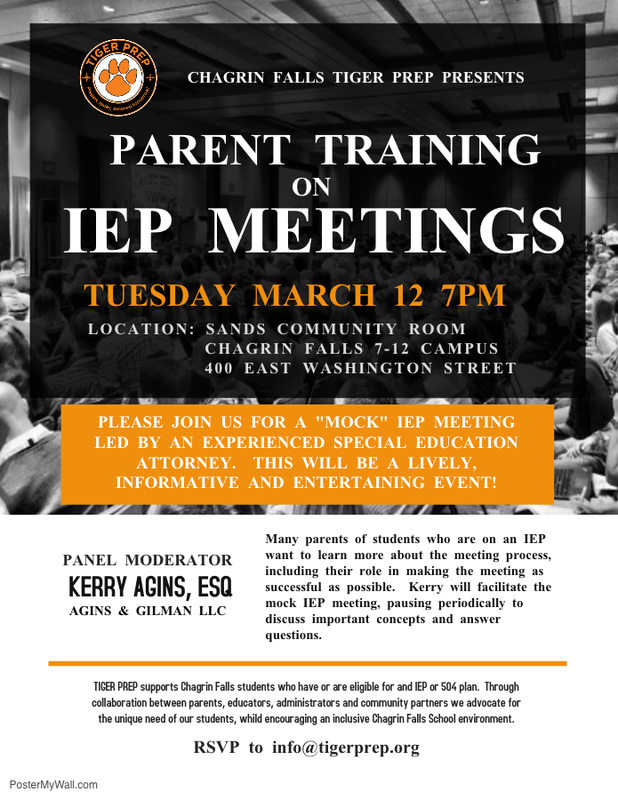 Superintendent Lisa Shannon, who heads up special ed at Chagrin, will be available to answer questions and speak to topics of interest to parents. Also attending will be other administrators and support staff. Tiger Prep is a 501(c)(3) non-profit and an all-volunteer organization. We thank those who have supported us both financially and through volunteer time. Back by popular demand! It is never too early to think about our kids’ futures. Our speakers will offer parents helpful financial and legal information and guidance concerning long term planning for their child. It is okay to come late or leave early. We hope that everyone has been able to take time out of crazy life to enjoy the glorious autumn weather. We hope you like our new and extremely improved website! MANY thanks first to Steve Bull and his team at Advanced IT Professionals and Emily Metzger at Downie Photography. These folks donated tremendous amounts of time and talent gratis to Tiger Prep, and we are so appreciative! You will find here our member form, or, you can easily donate online. Tiger Prep is an all-volunteer organization. This means donations, big and small, go towards the grants we give that benefit Chagrin students with special needs. See below our upcoming Fall events (parent networking and legal/financial information). Please support us not only financially but with your time. The more parent involvement we have, the better we can serve Chagrin students with special needs and their families. Email us at info@tigerprep.org to get involved! Wednesday, October 18, 6 – 8 p.m.
Parents are invited to drop in for as short or as long as they want. This is a chance for us to have casual conversation, share ideas and information, and maybe even have a few laughs! This event is at Sands Community Room, on the 7-12 campus. Monday, November 13, 6 – 8 p.m. It is never too early to think about our kids’ futures. Our speakers will offer parents helpful financial and legal information and guidance concerning long term planning for their child. This event is at the CF High School LIBRARY. Tiger Prep Picnic – Thanks! Best wishes to everyone in the transition back to school. We are hopeful that notwithstanding bumps along the way, your kids settle in and have a great year. Attached is our Tiger Prep membership Form and we hope all will join! Collaboration with Chagrin Falls Schools Administrators and High School staff on a MS/HS “School Store” to benefit students including those with special needs. Tiger Prep intends to build on a positive first year as a new school support organization. We hope parents will join us in our efforts to support students with special needs and their families. 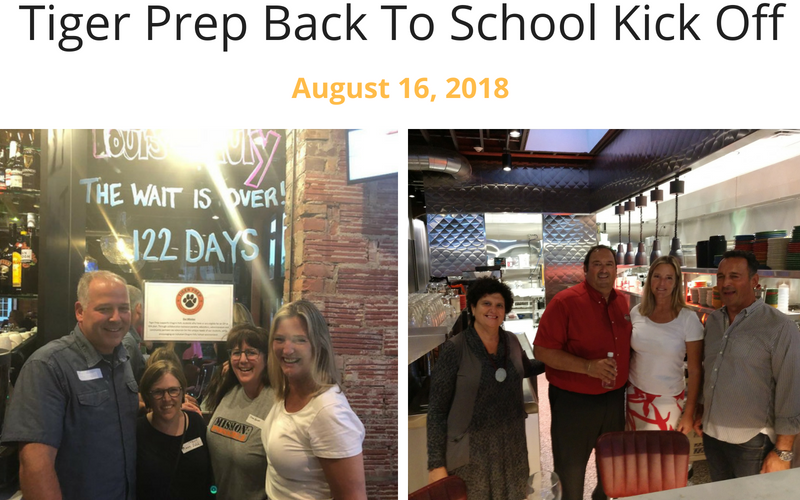 Tiger Prep board members, parents, and Sharon Broz, the liaison for the Chagrin Falls Schools Board of Education attended a small but very informative and lively gathering. Steve Thompson, TP Board President, updated the group on what Tiger Prep has accomplished in the first half of the 2016-17 school year in terms of grant-making, programming, and membership efforts. Steve also shared two exciting initiatives that are in-the-works. First, Tiger Prep plans to be involved in the development of a school store in the High School. This would be a collaborative effort that would involve parents, staff, administration, and students. It would be very student driven and would offer an opportunity for students of all types to build a variety of skills ranging from entrepreneurial and vocational, to social. While there is much to be done to turn this vision into reality, there is commitment from key staff, administrators and Tiger Prep. 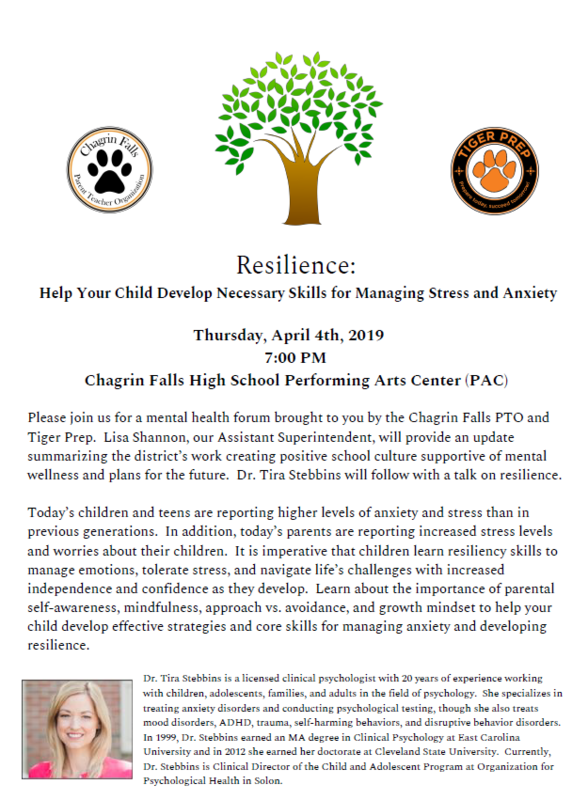 Next, Tiger Prep is pleased to announce that we will have a facilitated forum for parents, with Lisa Shannon, Assistant Superintendent, who heads up special education services for Chagrin. This will take place on Tuesday, March 7, 6:30 p.m., Sands Community Center. Transition (year-to-year, building-to-building) and other topics of interested will be covered. More information to come on this opportunity. Board members were eager to hear ideas and feedback the from parents in attendance, and were thrilled with the constructive dialogue. Because Tiger Prep is a new support organization, it needs to work hard to build its parent membership. 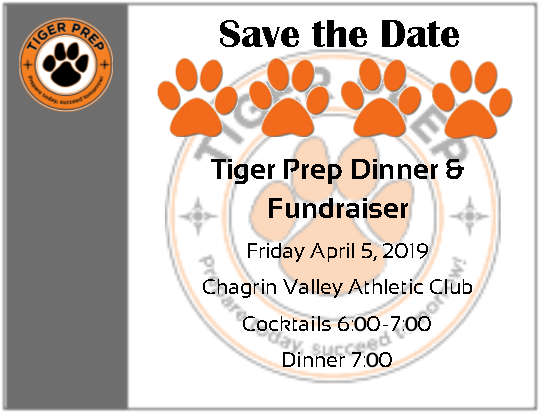 Parents of children with challenges need to derive a substantial benefit from membership in Tiger Prep so they will be willing and excited to put in the time and effort to make Tiger Prep a valuable support organization to the school community. Parents’ ideas pertaining to “value for members” included offering members networking and mentoring opportunities. Other terrific ideas included linking new-to-the-district-parents of students with needs to Tiger Prep, and having the school website include specific information on special education services. If you have any questions, want to offer your input, or are interested in getting involved with Tiger Prep, please contact us. To be successful, we need you parents! We need many different levels and types of involvement, and we promise to be sensitive to how busy parents are. Please email us at: info@tigerprep.org. “Planning for the Child with Special Needs”! Attorney Shannon Hoch and Financial Planner Kenneth Vinikoff facilitated a lively and highly informative discussion with parents. We believe this event was such a success we will be offering it again in the future. Thank you to the many Chagrin parents (over 120 of you!) who participated in our November Parent Survey. We wanted to learn from parents what they want from a school support organization for students with challenges, and we received really helpful input. We plan to use your opinions and ideas as a guide for future events and programming. Additionally, we heard parents loud and clear: the vast majority find evenings most convenient for meetings and events, so this is when we will be scheduling most things. Tiger Prep, a school support organization, seeks to prepare students with learning and other challenges for adulthood. We believe the best outcomes take place when there is collaboration between school, home and the community. Please check us out and get involved! Many thanks to Emily Metzger, Roseanne Feeney and Steve Bull for their contribution of significant time and expertise!